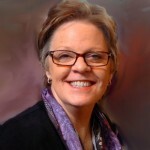 Born in Texas and raised in Oklahoma, Diane Hale Moody is a graduate of Oklahoma State University. She lives with her husband Ken (author McMillian Moody) in the rolling hills just outside of Nashville. They are the proud parents of two grown and extraordinary children, Hannah and Ben. Just after moving to Tennessee in 1999, Diane felt the tug of a long-neglected passion to write again. Since then, she’s written a column for her local newspaper, feature articles for various magazines and curriculum, and several novels with a dozen more stories eagerly vying for her attention. When she’s not reading or writing, Diane enjoys an eclectic taste in music and movies, great coffee, the company of good friends, and the adoration of a peculiar little pooch named Darby.